It's been a while, but I found a few photos of some of my fave monsters from the past and it's about time to post them here. I have quite a few more that in time will also be added. 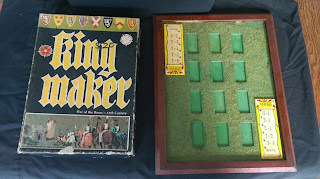 A project that started out with the knights assembly kit from Games Workshop to complement the 1970's Kingmaker Board game. There were more than a few nobles in the game, and I managed to paint about half of them with their heraldry matching as close as I could, such as Warwick, Scrope, Greystoke, Roos, Percy, Stafford, Beaufort, and Courtney. I always meant to finish the project fully with all nobles accounted for, so one day this post might be complete. 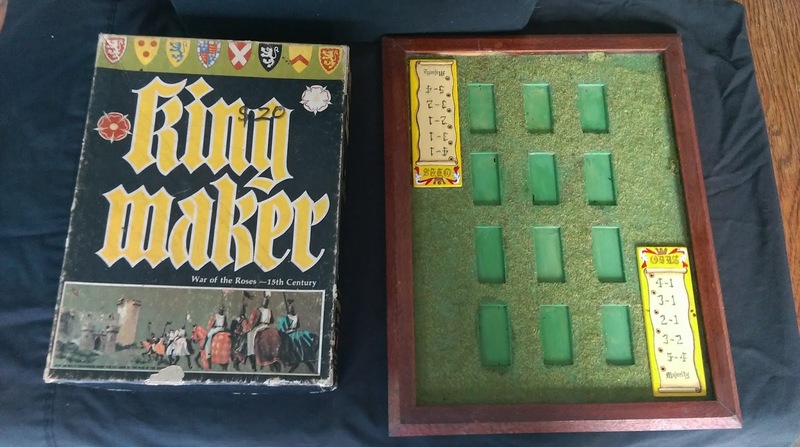 Whilst putting the models on the actual board was not feasible, the Advanced combat rules called for a board where the nobles, and even Royals would face off against each other to determine the outcome of the battle. Picked up as bits and pieces, I managed to stitch together the Dwarven Bolt Thrower. The wheels that came with it were too big, and were given to the Organ Gun, whilst the organ gun had the smaller, more appropriate wheels, which were also metal. Whilst lacking the defensive spikes, the model still looks great. I decided to add some small leather string to complete the rope. Choosing the crew was a little like choosing the Organ Gun crew, as GW had a bit of a mix 'n' mash approach. At least one has the bolt! 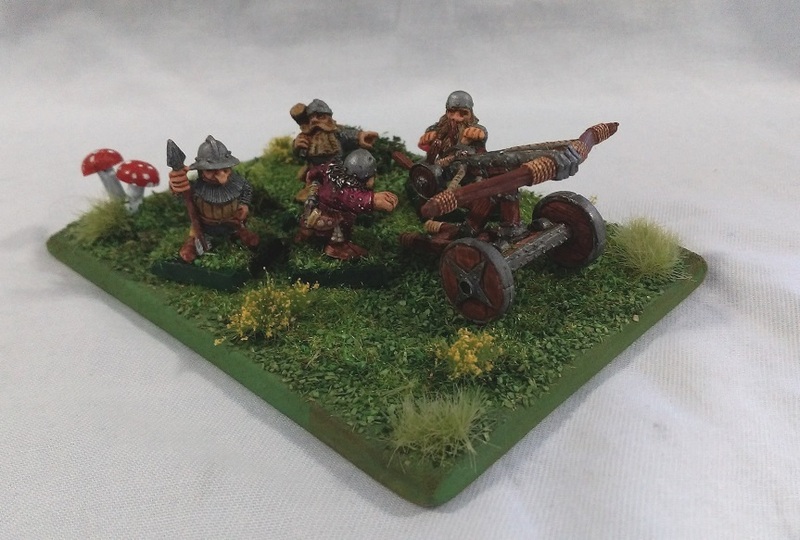 Over at the Oldhammer forum, load of people are modelling up for the Bring Out Your Lead event in the UK. 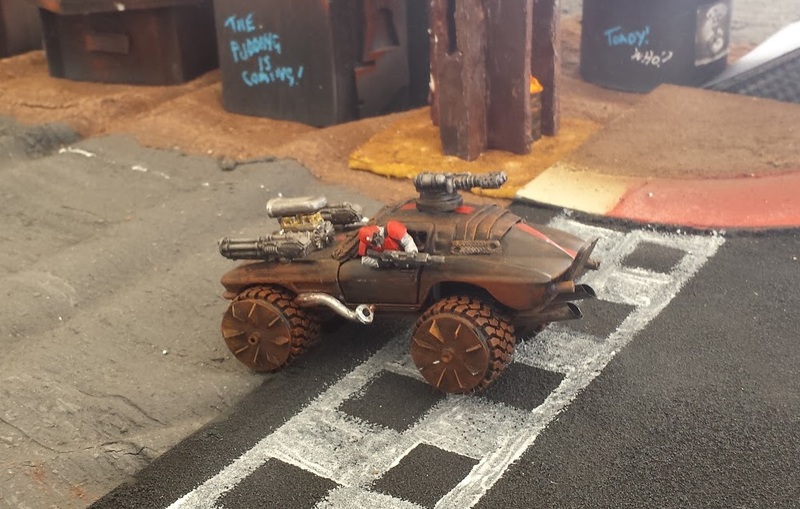 One of the games being played there will be run by Captain Crooks who is putting together the Deathrace. I'd really like to be there, but it's gonna be very unlikely. I loved seeing these amazing creations people were putting together for their Deathracers and I eventually couldn't hold out any longer and just absolutely had to make one myself. I went to the toy store and spent an agonising 30 minutes pouring over their range, trying to decide what kind of chassis I wanted and finally settled on a Corvette looking thing that had Mr Fantastic from Fantastic 4. I saw some other small tiny thing with a whopping big supercharged engine on it and picked that up too, but I wanted much better tyres than were on the original, so I managed to get them from a tractor thing for a buck. 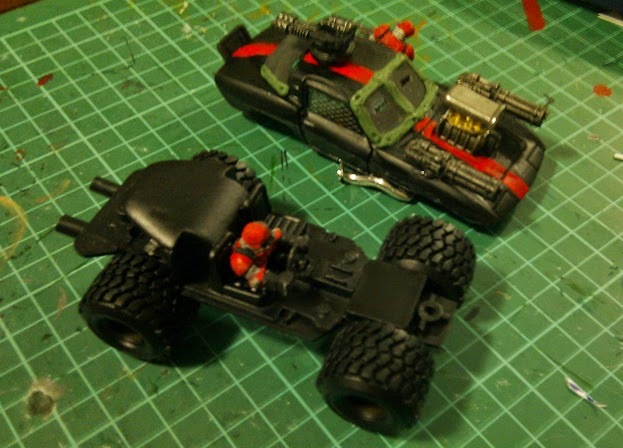 The 3 vehicles got murderously pulled apart and unscrewed, sanded and grinded and triple sprayed. Working with a cast aluminium chassis was surprisingly difficult. I had 2 metal miniguns and a plastic flamer for the main weapons and further put together the driver and co-driver from the Forgeword bits I had left over. Much grinding. Such drilling. Many glued finger. WOW. 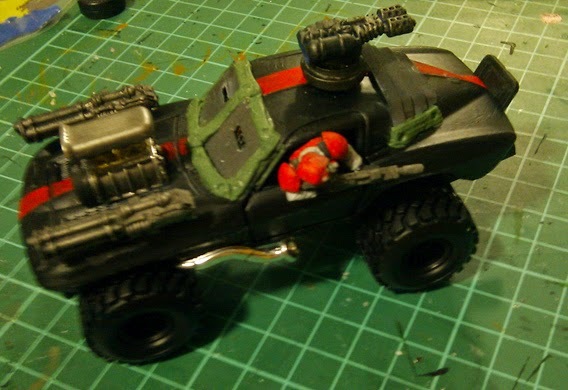 I initially had the flamer on the rear window, but it just didn't quite look right, so I decided to make a turret for it and put armour plates over both the rear windows . 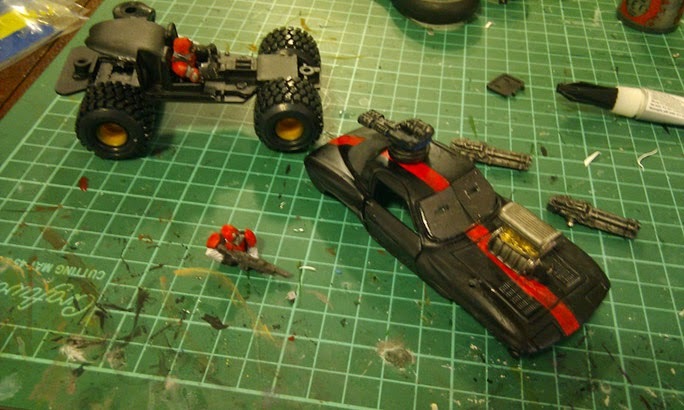 I had 3 tries before I got the armour windscreen plates right and getting it all together was amazingly fiddly. I thought it would be funny to have the co-driver hanging out of the side window, blasting away at the competitors and even though I knew it would never really be seen, I still painted up the driver with his gas mask, sun-goggles, red plastisteel-armour and leather gloves with skull studs on them. I used other bits and pieces such as pen tubes, straws, plastic mesh and greenstuff to achieve the parts I wanted and finally put it all together. The spiked wheel plates were made of cut up plastic and were amazingly fiddly to put together. I had to use tweezers and now have all my fingers glued together with Loctite. I really hope you enjoyed my contribution the the event. I can't be there, but I'm going to post the Deathreacer to Captain so he can take it with him and compete with it. May the best racer win! I decided I wanted to make a bit of terrain for the Anvil to sit in for the Dwarf vs Skaven Battle, and had an opportunity to go visit one of our local beaches to pick up some suitable stones for a Henge. 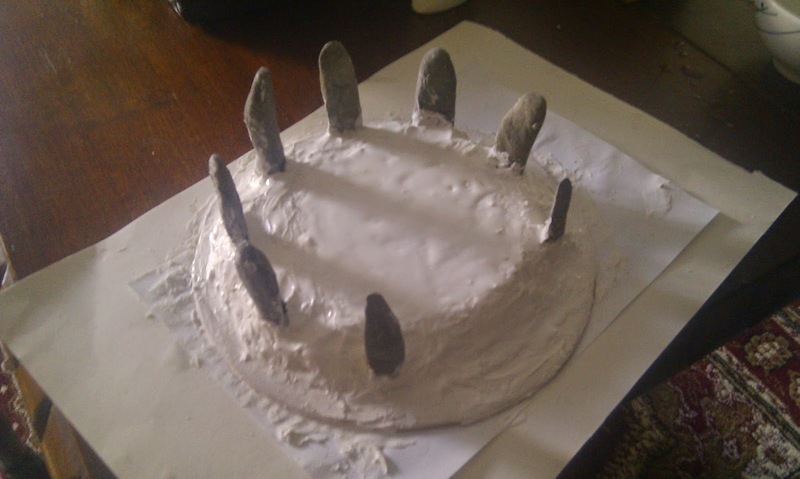 I wondered if it would give the anvil and guards a bit of cover, but mostly I wanted something a bit grand to be not only the centrepiece for the army, but something to represent the sacredness of the Anvil to the Dwarves; after all, to them it represents the Heart of their Mountain, so why not build a sacred glade? With the stones selected, the board was cut out using a plate template and jigsaw and sanded down. 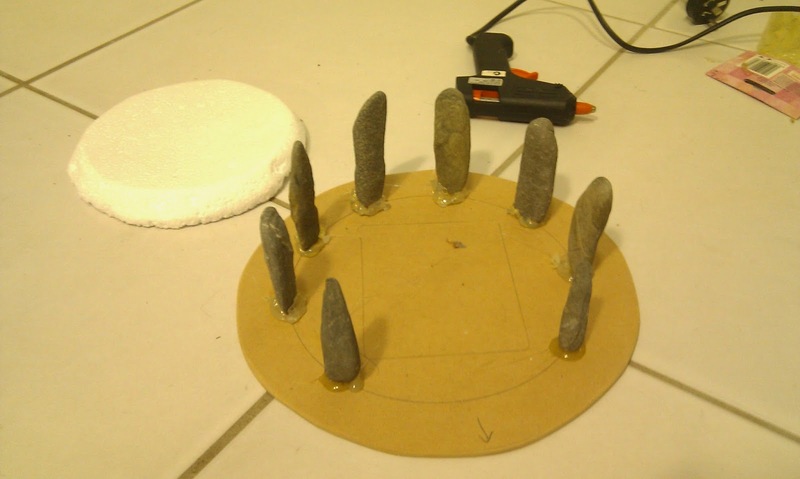 With a few calculations the stones were hot-glued into place. I then cut a disc of styrene and poked the appropriate holes in it and sealed it with PVA. The next stage was to build up the edges and smooth it all out with texture paste and repeat using water to soften it at the end. I then cleaned up the stones a bit and waited for it to dry before sanding and painting it and giving it some flock, ivy, shrubs n 'shrooms. Now we have a sacred glade for the Anvil. It's been a long time in the making. I had painted the thrower almost as soon as I purchased the model, but never completed the crew till now. They were all very nice models, even though a little on the less "robust" scale of some of the other Citadel sculpts. All three crew were actually a joy to paint, with great poses and a nice amount of detail. Let their aim be ever accurate. I started this crew with the guy with the two handed sword - originally named Sir Harry Candyapple or something like that. I painted him a long time ago with enamels when I was in Adelaide and my choice of colours was... questionable by some. I cared not. Later, I acquired the organ gun and the two models that came with it. I painted up the organ gun, but left the crew unpainted for years. Until today. Got stuck right into them and finished them off in the same colours as Harry, seeing as they had that same Landsknecht look about their clothing. Aww - so sweet. The rammer even has a lovely lace neck piece. Now, you may scoff at the colour combinations here, but I would remind you that the Dwarf Organ Gun is one of the most potent and devastating war engines in the entire game of Warhammer, so scoff at your own risk, (and inevitable demise). I picked up this earlier organ gun at some stage, but really didn't like the "chaos" look about it. The spikes were simply overdone and created a feeling of not really belonging, so I modified it. I cut off the top and side spikes and polished the metal down for a more refined look. The wheels that came with it seemed too small, so I swapped them for the ones that came with the bolt thrower, which I thought looked too big. I added smaller spikes on top from the skeleton swords modular kit nipped to suit, changed the damaged height screw and got it to a state I deemed worthy of the army. 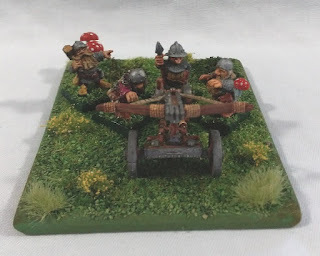 The crew for war machines in Warhammer early editions seem sometimes a little haphazard, so here are the three crew I've chosen to operate it.